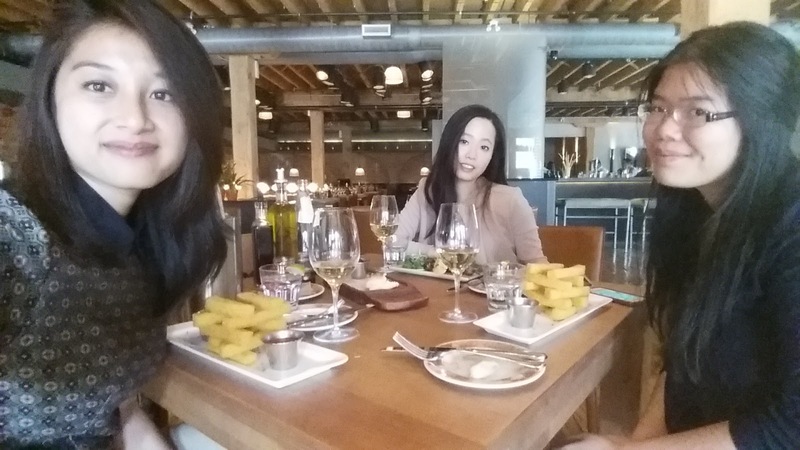 This was a visit I made during the summer with a couple of girlfriends. We mostly came here for the ambiance and the pleasure of enjoying company, however the food itself was definitely presented beautifully and was above your average eat. 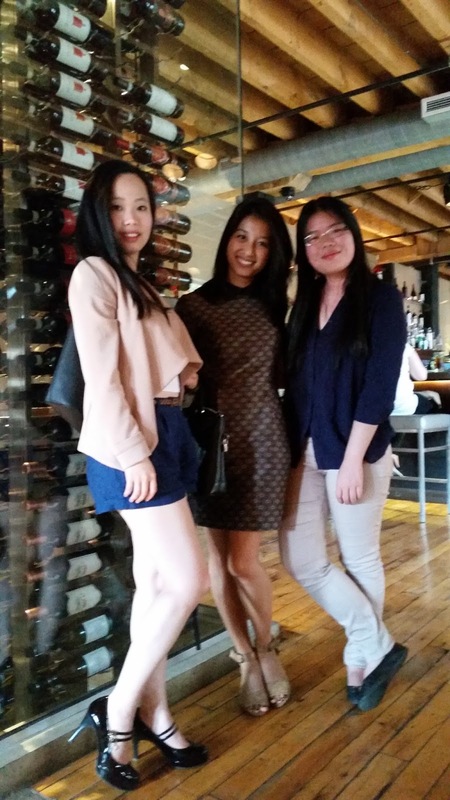 We came for a selection of appetizers and wine as well, and below are the specific selections made that day! 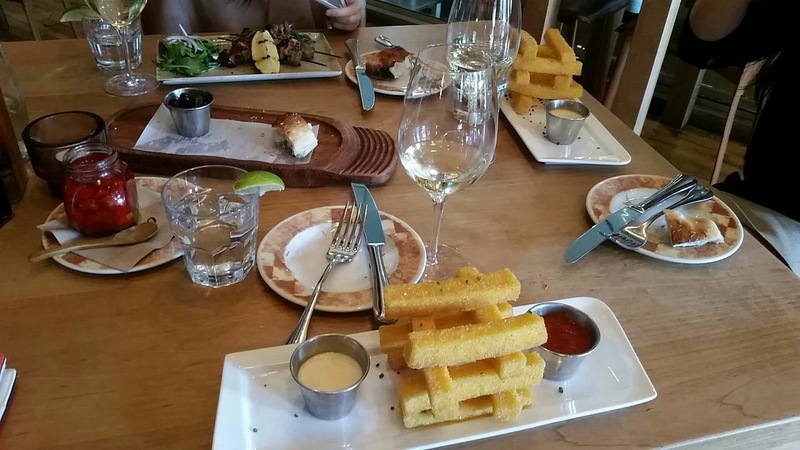 Both my friend and I ordered the Polenta Fries, which came with gorgonzola dip. In all honesty this was by far a dish for show only. The taste was quite bland and almost hard to eat because the texture was grainy and hard to swallow. I do give them points for great presentation though. My best friend Sonya had ordered something different from the two of us; she got herself Spiducci, which were seasoned and grilled sirloin steak skewers. I think she made the better call this time around with choosing a dish. Alongside our antipastos, we shared a bottle of white apple wine, which was smooth, apple sweet and a great pairing with the little appetizers we had. Overall, the experience at Cibo was a nice one, however I’m sure that I could have made better selections during my visit there. Perhaps next time!